Clip to hold the scattered sheets in place or to keep the scores open. 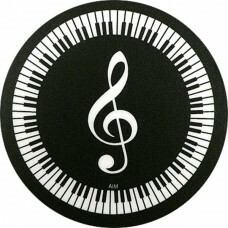 Ever tried to play or sing wh..
Coaster for pianist. 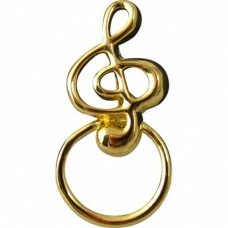 The surface is polished and depicts a keyboard with a G clef in the center. 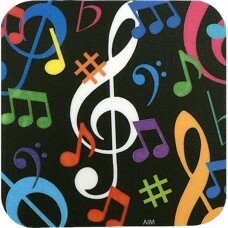 The..
Coaster with colorful musical notes and symbols on a black background. 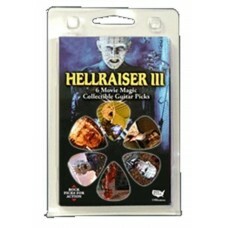 The surface is shiny, while t.. 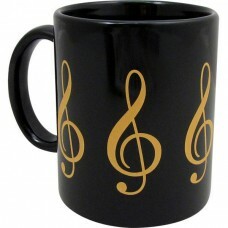 Ceramic cup or mug for coffee or coffee with milk. The background color is black. 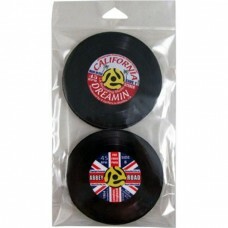 DIMENSIONS: Height.. 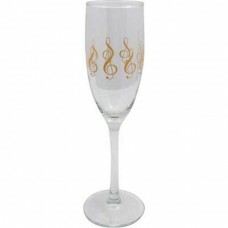 Champagne or flute glass, with gold G clef. 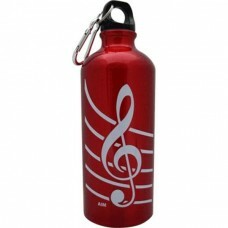 Perfect for celebrating musical occasions, diplomas, eve..
For those who do not want to use lanyards for glasses. Especially when you wear only glasses to read..
Inflatable plastic electric guitar, excellent reproduction and fun. It is in real size. 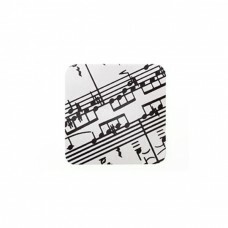 It's a gadge..
Large coaster with musical score on a white background. The back is non-slip. It is made like a smal..